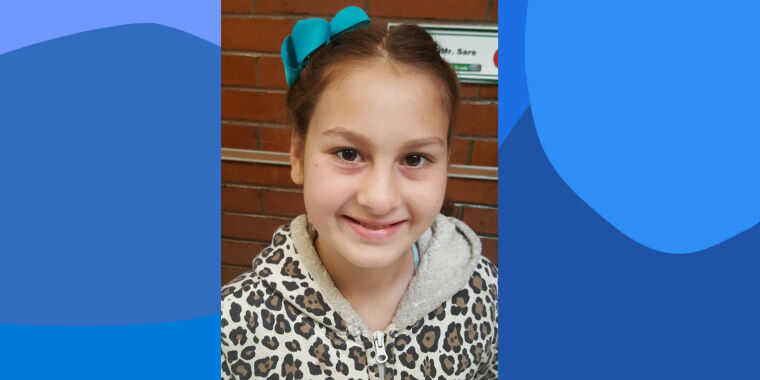 When Isabella Pieri's mom died from a rare disease two years ago, the 11-year-old not only lost a parent — she also lost the person responsible for helping her with her hair. Her father, Philip Pieri, attempted to take over, but admits he had no idea what he was doing. That was always his wife's area of expertise. So an unexpected figure stepped in to help out: Isabella’s bus driver, Tracy Dean. “This was the least I could do,” Tracy Dean said of styling Isabella's hair. After more than a year of riding on Dean’s bus, Isabella noticed that the driver had been helping a fellow classmate style her braids before school every morning. She eventually approached Dean and asked if she could have help with her hair, too. “Isabella just said, ‘Hey, will you do mine if I bring a brush?'" Dean recalled. "And I was just thinking to myself, 'Oh thank you, Lord.'" When Dean learned Isabella had said goodbye to her own mother at such a young age, she wanted to do whatever she could to help. “This was the least I could do,” she said. Isabella, who’s favorite hairstyle these days involves two braids at the side of her head pulled into a ponytail, now has tangle-free hair halfway down her back. Thanks to Dean's instruction, she's learning to care for it — and even style it — on her own.